DJ street battles are about to get a whole lot more awesome. 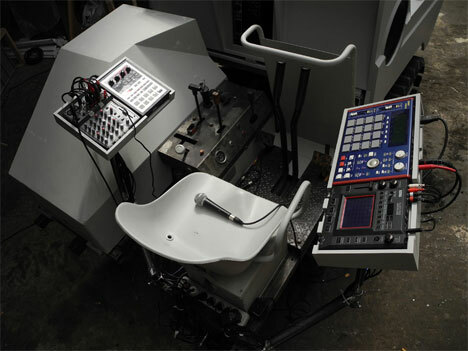 Nik Nowak created this incredible mobile sound system that looks and drives like a tank but contains all of the equipment a DJ needs to engage in epic spin wars. The Panzer Soundtank is packed full of speakers and a ton of sound equipment that will let you take a party on the go. Based on its size, it looks like it’ll leave a few bleeding eardrums and grouchy old men in its wake. When it moves it becomes obvious that the tank is a lot lighter than it looks in the photos. 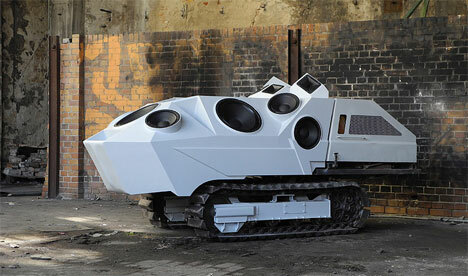 It may not be able to crush parked cars, but it will absolutely crush the competition in a DJ battle. See more in Art Vehicles or under Transportation. October, 2011.